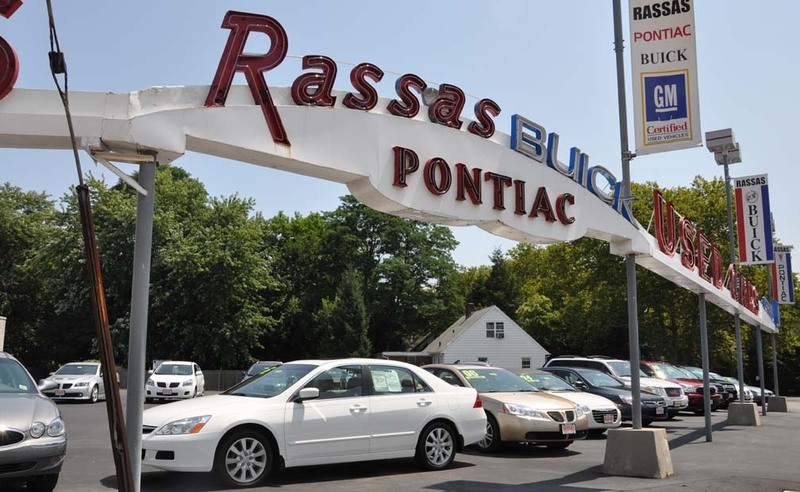 Rassas Pontiac opened in 1930 at a different location in Red Bank. 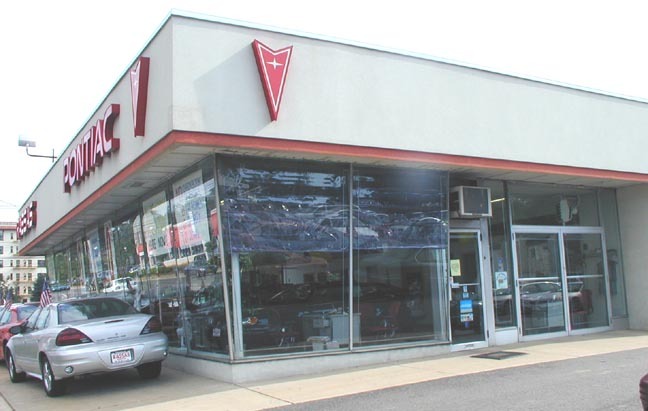 The dealership moved to this showroom in 1949. 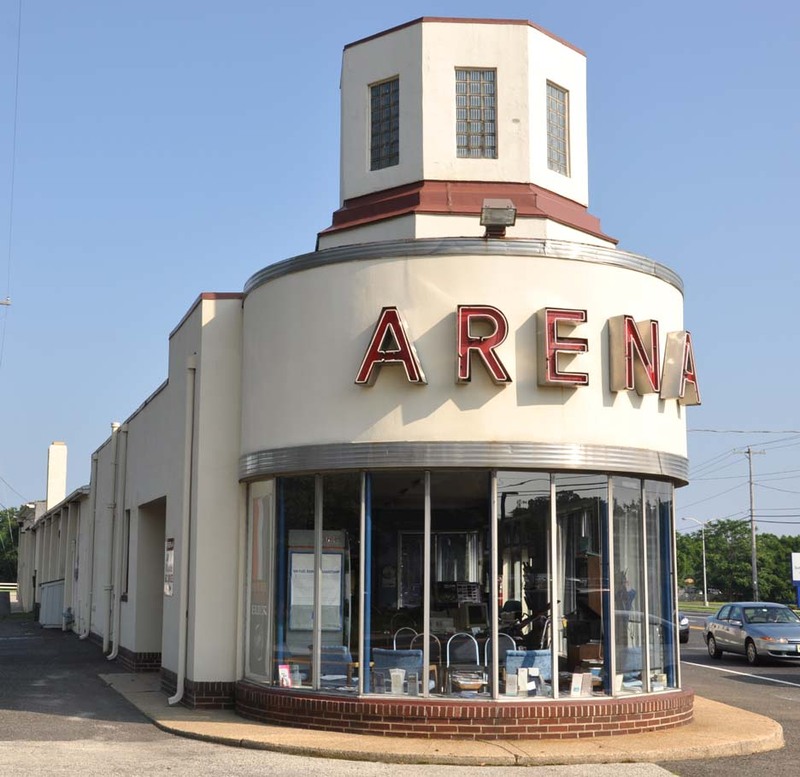 At that time, there was a Mobil station on what is now the used car lot. The building was either the first or one of the first in town to have slanted pane windows. 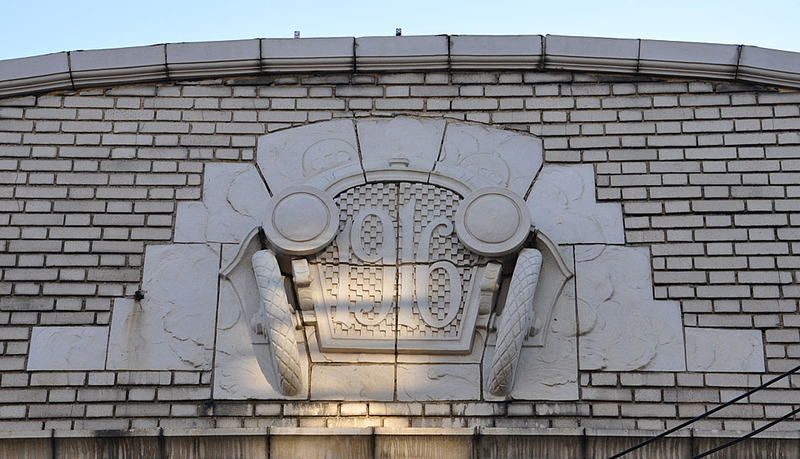 The roofline was updated in the late 1990s. The signage appears to be early 1960s. 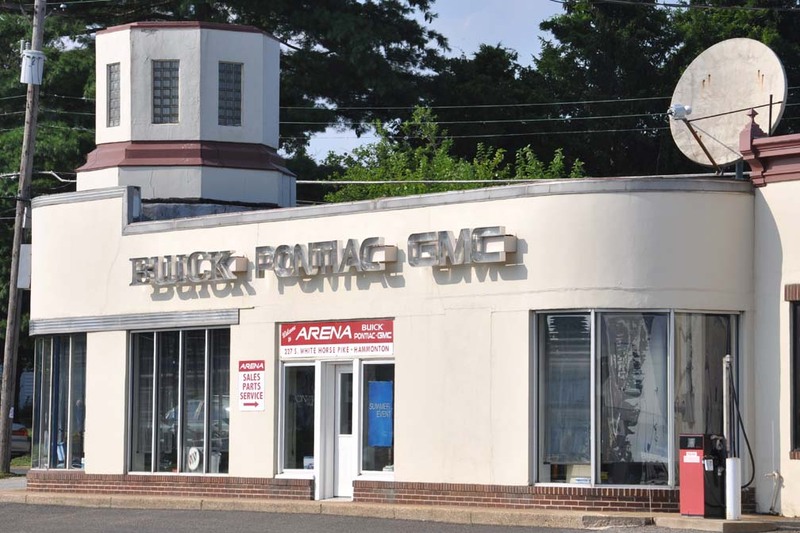 In 2014, the dealership was demolished. Part of the sign was saved by Fantastic Signs. 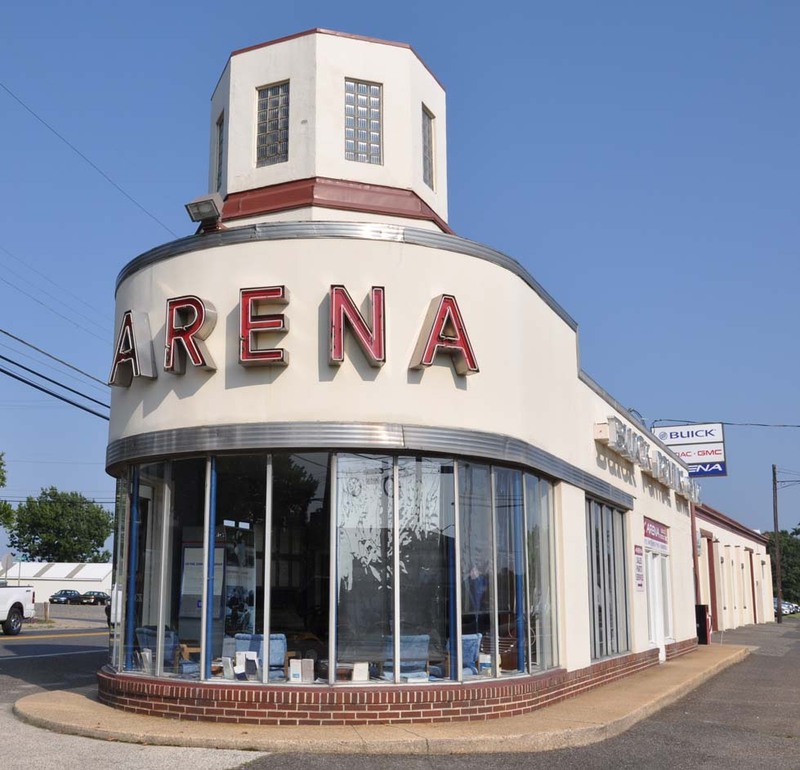 The Brogan Cadillac Olds showroom was built in 1944. 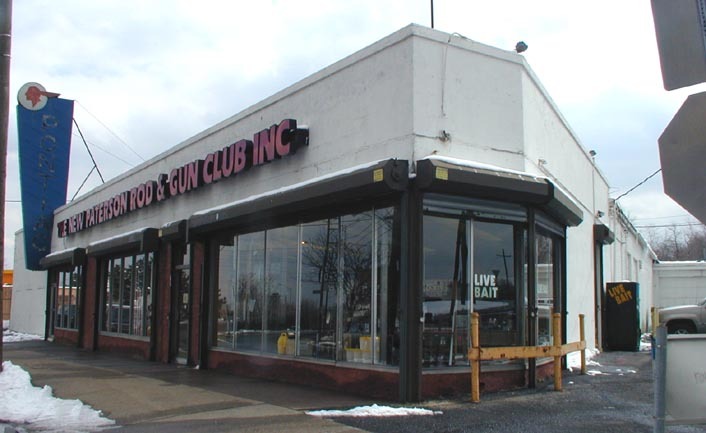 This location closed in 2002. By 2009, the building had been replaced with a housing development.